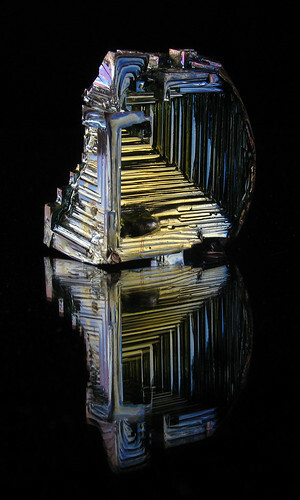 A close-up of a bismuth crystal, 40 mm high. The crystal gets its colours from a thin layer of bismuth oxide. I left the reflection of the supporting glass plate in the final photograph to give it a bit more depth.